Back in the day, widgets seemed to be all on the rage on Android. They were popular to the point of being a reason to buy an Android device over an Apple one. Nowadays the hype has died down. It seems that even those who love customization, like myself, rarely use them anymore. Has the quality dropped, are they just not useful anymore or is there something else? Let's find out! Of course, one widget is still ever present - the manufacturer clock and weather one. It's great to be able to see essential information such as the time and temperature at a glance. Yet, where have all the other good ones gone? Many apps don't really offer actual widgets anymore - they are more akin to simple shortcuts. Even Google doesn't seem to be putting a lot of effort into theirs. For example, the only Google Docs widget is a simple shortcut to create a new document - no option to have a document displayed on one of your screens. 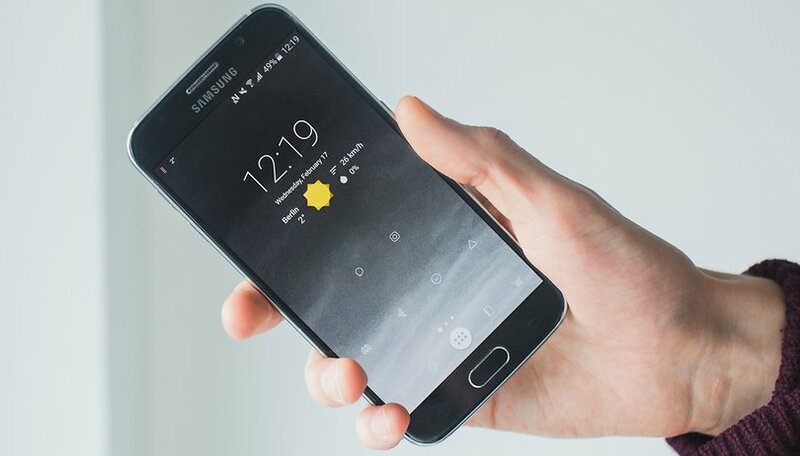 Lock screen widgets are also a thing of the past. Official support for them ended with the arrival of Lollipop when they were removed in favor of lock screen notifications. There still are third-party apps that offer them, but they are becoming rarer. Of course, biometrics and being able to unlock your phone much faster have also played a role in lock screen widgets losing popularity. Launchers, on the other hand, offer so many customization options that many might not see the need to clutter their home screens with widgets. Besides, most don't have a uniform design or style - making them clash with launcher themes. Finally, there's the developer side of things. A new initiative called Slices is already in the works. They are "UI templates that can display rich, dynamic, and interactive content from your app" and are apparently much easier to develop than widgets currently are. This could mean that the days of widgets are over, but they might be replaced with something much better. I hadn't heard of Slices until now. Of course, we also want to know your opinion on the matter. Do you still use widgets? Do you find them useful? Why or why not? Let us know in our poll and in the comments below. Do you still use widgets? I still use a number of widgets, such as the clock/weather - music player - calander (full screen widget) - news - personal security - Spotify - Tunein Radio - Amazon music - Spotify - I also use a full page for Google Keep (handy for seeing notes & creating new ones). Granted the above mentioned could be achieved by other means, though it's the added convenience that attracts me. If they are replacing them with a superior feature then great, though I have reservations. Should we be worried that multiple home screens will go on future versions of Android? Thanks for sharing how you use widgets. I just may have to rethink using widgets. I never used too many. One of the main ones was outlook calendar which by default came clubbed with the mail app but the new design is terrible. even after minimizing it takes up half the screen size. My latest apps help me customize widgets the way i want them, with shortcuts, activities, and all. Android is not only about social apps. I use about 3, but that's it. Shoot, my home screen I still use the "old school" HTC design of the clock/weather "HTC Sense". I do not use them anymore and have not even thought about them in years. Ugh! Just realized that I use one widget which was preloaded on my phone when I got it, the date and weather widget. So I do use one. Beautiful widgets pro is a must for me. I use widgets a lot on my 2nd screen. These are basically dashboards, KPI information such as currency conversion rates, gold, silcer, oil and stock plus cyrpto. On my homepage have widgets such as dual clock and weather. So widgets are the best thing not to get rid of. These are sometimes I'd like to see without frequently opening multiple apps just to know what's happening. Why do people make widgets and then stop putting them out. I was looking for one the other day and now it's gone. Baseless article. Look at the poll, 58% use multiple widgets and a further 18% use a weather widget. I'm using calander, keep, news, calculator and time. What's the alternative? What's baseless about it exactly? It's a social article. I put forward a claim based on observations and the goal is to see if it applies to our readers or not through the poll and the comments. A little reading comprehension goes a long way - there's even a question mark in the headline. Also the fact that Slices exist and that developers prefer them to widgets should tell you more than enough about where things are heading. Joshua Rosen, this is the PURPOSE of this article, didn’t you get it? Yes, people still use widgets, especially middle-aged ones, we stick to familair things and fear new gadgets, apps or slices - simply because we don’t know them well enough yet. I bet most people must have found it hard to part with their Blackburry for a Smart phone! But technology advances faster than we feel comfortable with (at least initially). Why should you blame it on this article which is trying to find out the facts instead of simply claiming something? Honestly, people who use labels to degrade or derate things they do not tuly understand, make me sick. I use a number of widgets including clock, weather, scanner, Google Calendar, Google search and so on. I use the weather widget, the calendar widget and the google search widget. Used to use them, but now I have tried and haven't found them as useful. Part of that is that IMO is the speed at which phones function at has made it unnecessary to use a widget for faster access to app features. Calendar widget, Music widget and other widgets are still useful. Are apps coming with super complicated widgets these days? Nah. Are they needed? Depends on the person. i think notification improvement has killed a lot of widget purpose.